The Daily Dose: Bud Light, Justin Timberlake & The Professional 0 out of 5 based on 0 ratings. 0 user reviews. Who will reach the 2017 Super Bowl? Today’s NFC and AFC Title games will be the telling moment. In just a few hours, we’ll be one step closer to finding out the competing Super Bowl teams. And like all things Super Bowl, we’re sure there will be some commercials thrown in for good measure! In fact, we already know that Hyundai will feature teasers. Look out for NFL legends Joe Montana and Mike Singletary making guest appearances in there too! Bud Light has started rolling out its Super Bowl LI campaign two weeks ahead of kick off. TheBud Light commercial is designed to promote the beer’s new tagline ‘Famous Among Friends’ that the beer makers will roll out in a 60-second slot at the Big Game. In a major shift from last year’s election-themed ad, the first part of Bud Light’s ad is called “Between Friends” and touches on quality moments shared between two best buds. The new Bud Light ad comes as part of a bigger no-frills Super Bowl campaign led by parent company Anheuser-Busch. This year, they want their beer commercials to be direct and focus on the products, rather than on celebrities or politics. A wise move, if you ask us. 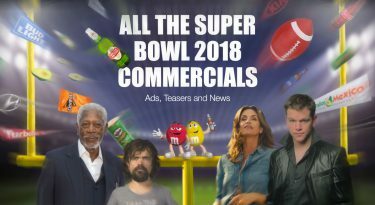 The Bai Super Bowl 2017 ad will feature Pop star and C“F”O – the Chief Flavors Officer – Justin Timberlake along with a “surprise special guest.” Timberlake is even involved in the making of the commercial alongside Bai’s in-house creative team. According to AdAge, mobile game publishers Top Games USA Inc. have joined the Rookie roster with an ad for The Battle of Evony. They’ve purchased a 30-second ad spot during the Super Bowl LI. The ad will feature a variety of celebs and create a cinematic experience to promote the company’s new game. Wix.com is preparing for today’s NFL playoffs with another special Facebook Live broadcast at 1 pm EST. 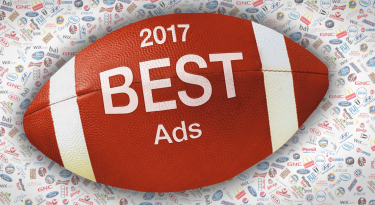 Last week, the website builder’s caused an Internet riot with the release of the Wix Super Bowl 2017 commercial live on the social media platform. Why? Because they snagged two of Hollywood’s hottest stars for the Wix Super Bowl commercial – Israeli beauty Gal Gadot and Brit stud Jason Statham. If you missed it, you can watch it below.